TALK CLEAN TO ME: Street cleaning causes infections? I think I can say with some confidence that it is very rare that cleaning can lead to infections. I am aware of a study from many moons ago where a facility found that surfaces cleaned by a particular cleaner were dirtier after cleaning took place. The reason? In order to be more efficient, the housekeeper would set up their cart the night before, and to minimize waste, topped up rather than getting fresh disinfectant solution. I’ve been fortunate enough to have had the opportunity to travel to some extent, and visit a number of different countries. Along my travels I have noticed that some areas are dirtier than others. I have also noted that some areas of the world go so far as to clean their streets each night to keep the dirt at bay – I happen to know that Bourbon Street in New Orleans is frequently cleaned…..but dirt is not really the issue there. In general, I would say that street cleaning is a good thing. It keeps dirt at bay, but it also removes food scraps that could become a food source for insects or rodents. For obvious reasons, cleaning gives a pretty good impression to those who may be new to a given city. It never occurred to me that street cleaning could be an infection hazard. I now fear that street cleaning trucks may become categorized in the same league as hand dryers for me thanks to a study published in Emerging Infectious Diseases by researchers from Spain. The study investigated a case of Legionnaires’ disease that had been confirmed at a street cleaning company that reported a similar case 4 years prior. The long and the short of it is that researchers felt that the infections were caused by contaminated water tanks used by the trucks during street cleaning concluding that Legionella was being aerosolized through the high-pressure hoses used to clean the streets. This isn’t the first blog on Legionella. In my Bugs, NOT Robbers Close Police Station and Summer cough due to cold…or Legionnaires’ disease, I reviewed 2 other outbreaks associated with Legionella. In fact, Legionella is associated with a number of interesting outbreaks including water or liquid associated with windshield washer fluid, dishwashers, hospital hot water systems, cooling towers, asphalt paving machines and even water births… According to relatively recent statistics, the CDC reports that Legionnaires’ disease has quadrupled in incidents between 2000 and 2014. 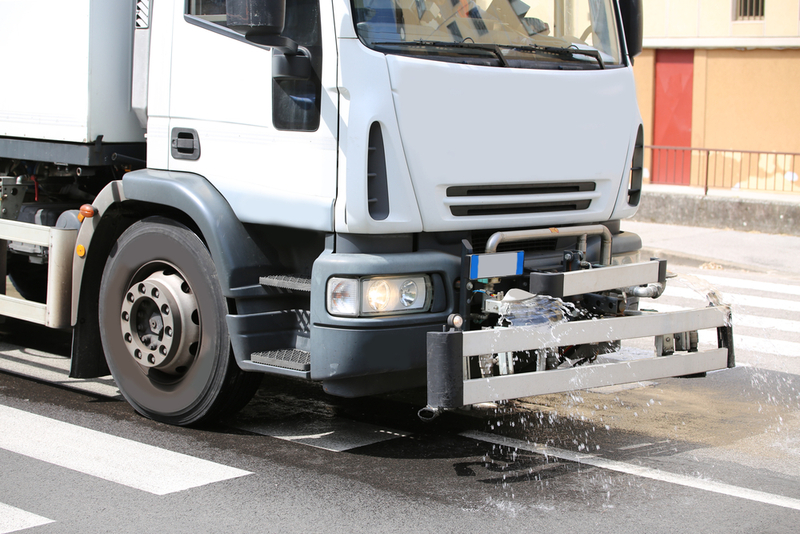 Legionella loves water, so it’s not necessarily surprising that it would be found in the street cleaning trucks. During the investigation the researchers found that the water from the street cleaning trucks was disposed of each night and refilled the next day with either untreated ground water or drinking water. The tanks were disinfected once/year for 2hrs with a chlorine-based solution. However, the foam linings in the tanks were never replaced and did not dry out overnight creating a perfect reservoir for Legionella to flourish. As a result of the investigation, street workers are now required to wear masks during tasks that could lead to potential exposure. The internal foam pieces were removed from the trucks and stricter water treatment measures were put in place. In the end, cleaning and disinfection is important to minimize the chance that Legionella can take hold and cause chaos. The upside of studies such as this is that it shows you just never know where the next reservoir for Legionella or any pathogen for that matter may be found. It’s easy to let our guard down during quiet times….but that always seems to be when the next opportunistic infectious agent crops up and wreaks havoc! Cleaning saves lives and I guess as this study shows, effective cleaning and disinfection protocols are needed everywhere!